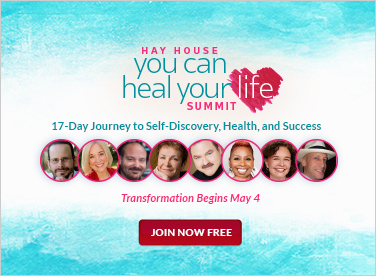 My dear friend David Kessler and I wrote our new book, You Can Heal Your Heart, to help you learn how you to find healing after enduring loss. Grieving is challenging, but it is your thoughts that often add suffering to your pain. When people think of loss, the idea of finding meaning or anything beneficial from it seems contradictory. But whether it’s a breakup, divorce, or even death, there is more to be found, depending on how you hold the thoughts around it. It’s not that you can stop the loss from occurring; it’s that your thoughts change everything that comes after the loss. Grief is a matter of the heart and soul. Grieve your loss, allow it in, and spend time with it. Suffering is the optional part. Remember that you come into this world in the middle of the movie, and you leave in the middle; and so do the people you love. Love never dies, and spirit knows no loss. Since your thinking shapes the experience of your loss, make your intention to have a tender, loving experience of grief. And keep in mind that a broken heart is an open heart. Let your thinking manifest hope to your sorrow. Choose your thoughts wisely. Be kind to yourself, and reflect on the loss with love. If you’re grieving the death of a loved one, remember how you loved them when they were present; know that you can continue loving them in their absence. You can go from grief to peace. Endings are also beginnings. I encourage you to use the affirmations and teachings throughout our book, You Can Heal Your Heart, while working through a loss and also in every aspect of your life. Pay attention to your thinking, and change it in areas where you cannot find peace. By doing so, you’ll bring more happiness into your life and to those around you. Hard times can serve as a reminder that our relationships are a gift. Loss can remind us that life itself is a gift. Remember to love yourself. You deserve it. You are a gift. 1. Love guides all my relationships. 2. All things are unfolding as they are supposed to. 4. In my sadness, I love myself. 5. I will feel my grief but not wallow in it. 6. I honor the love more than the loss. 7. I can find happiness in any situation. 8. I love life, and life loves me. 9. I have lived and loved. 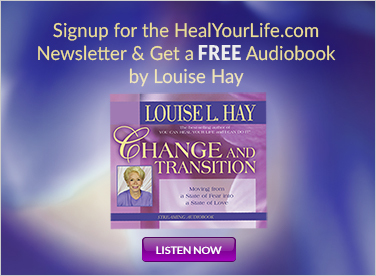 You Can Heal Your Life -Box Set! This Collector’s Edition box set contains the first-ever film on self-help pioneer Louise L. Hay, together with her original best-selling book.